This is something no-one would disagree with, but while wine and Parmigiano are subject to deterioration once they have reached a certain age, Traditional Balsamic Vinegar, if properly taken care of, continues to improve as the years roll by. It is tucked away under the eaves, exposed to the scorching summer heat and freezing cold winters of Reggio Emilia, that the grape must is transformed into an extraordinary blend of aromas and flavours, an authentic balm for the palate. Traditional Balsamic Vinegar is first reduced over a direct flame and then left to evaporate in the summer heat: a quintal of grape must yields, after being aged for at least 12 years, no more than 5 litres of Traditional Balsamic Vinegar. 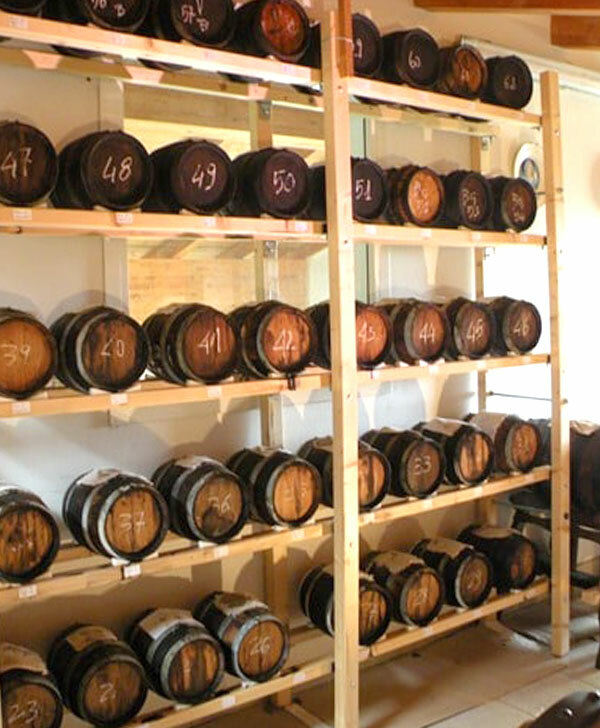 The annual refilling process that involves shifting the vinegar between barrels of different sizes, from the largest to the smallest, is what gives the product its unmistakable organoleptic properties, while the evaporation process during the long summers gives it its characteristic density. Traditional Balsamic Vinegar of Reggio Emilia is a precious ingredient in the kitchen, boasting organoleptic properties that have earned it a place among the very finest gourmet products, such as caviar and truffles. It can be used as a condiment for salads and cooked vegetables, as well as with slivers of gran cheese, vegetable omelettes or rice fritters. It is a perfect accompaniment to raw or semi-cooked red meats, such as roast beef or tagliata of beef, provided it is added just before serving. Balsamic vinegar should also be added to slow-cooked dishes just before they are removed from the heat, so as to add flavour without losing any of the extraordinary aroma.